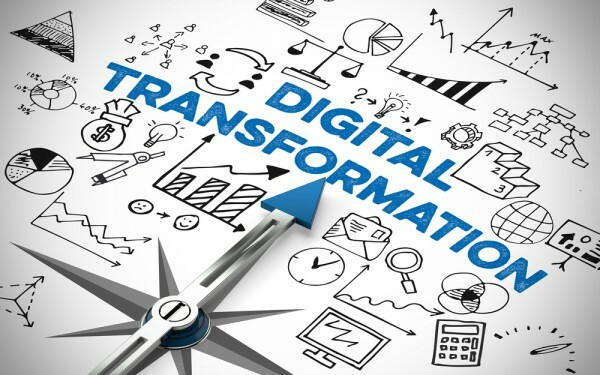 A new survey of business and IT decision makers reveals that more than half (56 percent) believe their job roles have been changed by digital transformation. The study by the Cloud Industry Forum and Ensono research finds 51 percent reporting an increase in their responsibilities and 47 percent saying they have greater pressure to deliver. The effect isn't the same across departments, however, business decision-makers report they have more freedom to innovate (45 percent compared to 24 percent of IT decision-makers), but the IT department is more likely to report a faster pace of work and increasing workloads. 92 percent of respondents say that their organization doesn’t have all of the skills needed to meet the demands posed by digital transformation. 48 percent state that they need additional technical skills, 44 percent cite a need for improvement of their team working skills and over a third identify deficits in communication (35 percent) and creative skills (35 percent). "This apparent shortfall in fundamental skills is troubling," says Alex Hilton, CEO of Cloud Industry Forum. "While the technical components of digital transformation are obviously critical, so too are leadership, team working, and creative skills. Unless these skills are in place, the CIO, the IT department and the business will struggle to realize their change ambitions." The research also looked at the skills individuals feel they need for success in digital transformation. Communication and team working skills are found to be the most important for success (cited by 74 percent of business and 67 percent of IT respondents). 51 percent of business decision-makers believe they need technical skills, compared to just 39 percent of IT decision-makers. This suggests that digital and technical skills are increasingly important for digital transformation, and that the boundaries between the two spheres are blurring. For the IT team, technical skills (75 percent), problem solving (54 percent), and creative skills (49 percent) are seen as among the most important skills for digital transformation. Only around half say that management (51 percent), negotiation (46 percent) and communication skills (45 percent) are important for CIOs to be successful in their roles. "The roles and skills required for success are changing in this era of perpetual digital transformation," says Simon Ratcliffe, principal consultant at Ensono. "We see a new IT department emerging -- one that must take this opportunity to claim their seat at the boardroom table, or risk becoming obsolete. Today IT departments must extract themselves from a support role and balance their technical know-how with problem solving, creativity and business situational fluency." More information about the findings is available on the Ensono website.